In line with its ongoing development strategy, Africa Magic, the continent’s leading provider of African entertainment content, has announced the launch of a new channel, Africa Magic Igbo. Designed to showcase the rich Igbo culture of Nigeria, the 24 hour general entertainment channel follows the success of the Africa Magic Hausa and Yoruba channels and will go on air at 19:00 CAT on the 2nd of April, 2015. Africa Magic Igbo will be available on DStv channel 159. 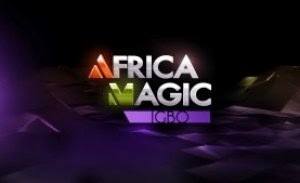 The launch of Africa Magic Igbo, which brings to eight the total number of Africa Magic channels, follows the redefinition of the Africa Magic channels in 2014 and the recent refreshing of the Africa Magic Urban channel. The first Africa Magic channel was launched in 2003 and more than 10 years later, the brand continues to expand and now includes content dedicated to world class African entertainment programming ranging from drama series, music, magazine and lifestyle shows, to reality shows and movies. “All the Africa Magic channels are renowned for their exciting content which celebrates African entertainment and Africa Magic Igbo will be no different. The channel will appeal to audiences in and outside Nigeria, as the Igbo language is also spoken in a number of other African countries like Equatorial Guinea, Democratic Republic of Congo and Gabon. Africa Magic Igbo will also undoubtedly be popular with audiences across the continent as shown by the widespread success of the popular Igbo language movies of the 1990s, and our viewers can expect to see the best from renowned and exciting Igbo talent like Okey Bakassi, Chiwetalu Agu and Dede One Day amongst many others,” added Mba-Uzoukwu. Africa Magic Igbo launches on the 2nd of April 2015 at 19:00 CAT and will be available on DStv channel 159.